Poa pratensis (Kentucky bluegrass) is a perennial grass (family Poaceae) that has escaped cultivation and is found sporadically in many different habitats in California. 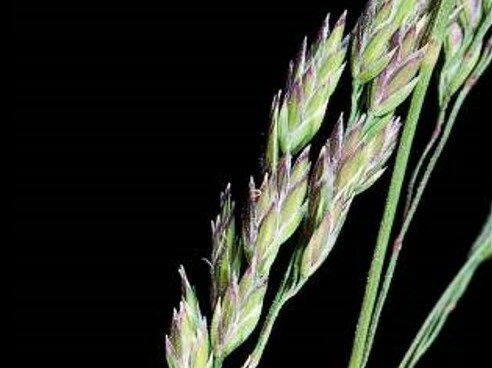 Kentucky bluegrass can produce 200 seeds per panicle in the first year and the species increases with grazing and burning. Kentucky bluegrass out competes with native species, reducing overall diversity and altering species composition.